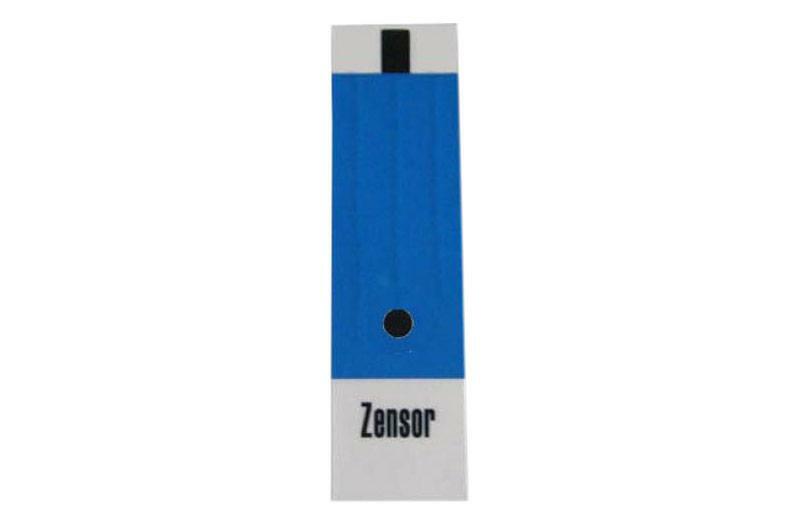 These Zensor screen printed electrodes (SPEs) feature a carbon working disk electrode. They can be used as low cost disposable electrodes in aqueous solutions of moderate pH. Disposable SPEs can be used as an alternative to expensive glassy carbon or platinum electrodes for teaching experiments, or routinine analyses, where a clean reproducible surface would otherwise require time consuming electrode polishing. A relatively large tab at the top of the SPE enable electrical contact with standard miniature alligator clips (no special cables required). Development of a method for total plasma thiols measurement using a disposable screen-printed carbon electrode coupled with a MnO2 reactor. Chun-Yen Liao, and Jyh-Myng Zen, Sensors and Actuators B: Chemical, 129, 896-902, 2008. Voltammetric Peak Separation of Dopamine from Uric Acid in the Presence of Ascorbic Acid at Greater Than Ambient Solution Temperatures. Jyh-Myng Zen, Cheng-Teng Hsu, Yi-Lan Hsu, Jun-Wei Sue, and Eric D. Conte, Analytical Chemistry, 76, 4251–4255, 2004. Flow Injection Analysis of Chloramphenicol by Using a Disposable Wall-Jet Ring Disk Carbon Electrode. Chun-Yen Liao, Chia-Chen Chang, Chyung Ay, and Jyh-Myng Zen, Electroanalysis, 19, 65–70, 2007.